Halloween is nearly here and that means you need to have plenty of sweets on hand! 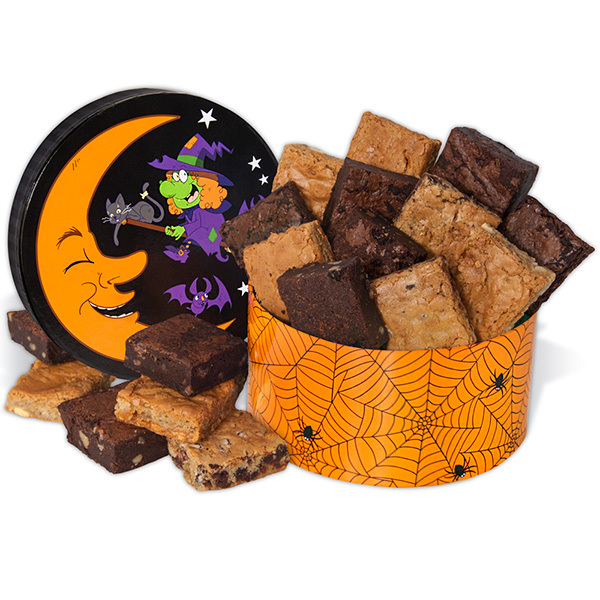 When making this Halloween Brownie Gift Box, we hand selected the best treats we could find, such as a variety of gooey brownies as well as chocolate chip and butterscotch blondies. This gift box is the perfect way to send your Halloween greetings to someone special and also makes a delicious hostess gift for a Halloween party!